Perfect tool for your White-Label Apps. 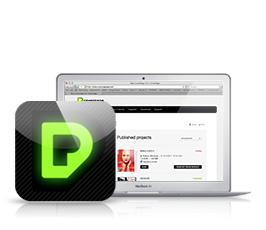 Award winning self-publishing tool CoverPage allows you to create own native Apps. Create stunning Single Editions Apps or publish directly to Apple Newsstand. Unique CoverPage production workflow helps you to merge cutting-edge interactive features into enhanced native App user experience. Create your layouts with your favorite authoring tools. Import them into CoverPage as JPEGs, PNGs or you can use our Adobe InDesign plugin exporter. You can use PDF files for your layout assets. 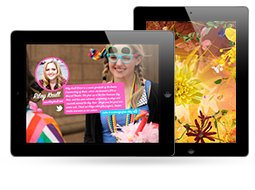 Reach your new audience with your tablet and mobile presence. 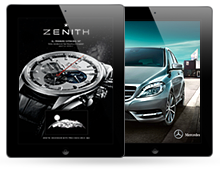 With our custom branded Apps you can publish to Newsstand or as a Single App on the App Store. Enrich your digital projects with amazing interactive features. Engage more people to play with your content. Everything is platform native. We do not use HTML5 or PDFs. Analyze user engagement to optimize your app. Prepare content more effectively, and deliver more targeted, relevant content to your audience. Install our software CoverPage Publisher. It's free. 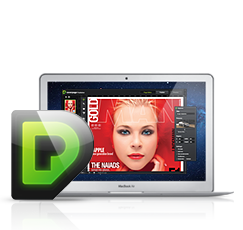 Import your layouts from InDesign, PhotoShop or use PDF files. Create interactive and multimedia content. Preview and test your projects with CoverPage Viewer on iPad and iPhone. Download it from App Store for FREE. We support enhanced user experience. It's fast and instant. Login to your CoverPage Web Account. Purchase your plan. Merge your content with your App. Build it and publish to your Apple Developer Account. Publish your projects as a Single Apps or into Newsstand. Selling and distributing your Apps hasn't been easier and effective. Best for your projects, creative portfolios or clients presentations. Design Icons and Splash screens. Update anytime. Publish with your Apple Developer Account. Best for content distribution. Sales team and marketers will love it. Perfect solution for Agencies to present projects in front of clients. as easy, fast and robust native Apps. Easy create interactive projects with full of multimedia inside. Engage your audience and market yourself in a new way. Mobile platform is great for sales and marketing teams. Interact with customers and amaze them with stunning interactive catalogue. 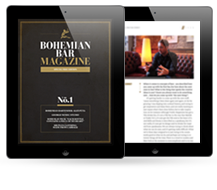 Looking for more interactivity to your magazines? Best for monetize your digital content. Distribute within your private network.